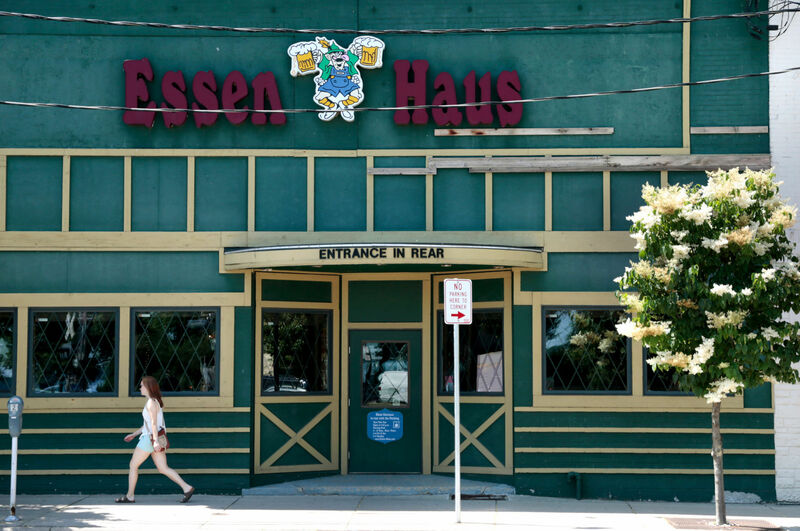 After several unsuccessful attempts to redevelop the aging Essen Haus German restaurant, along with the surrounding properties on East Wilson Street, a new developer is proposing a mixed-use development with about 250 apartments on the downtown Madison site. Georgia – It wasn’t long ago that golf fans who tuned in to The Masters Tournament telecast didn’t get to see golfers hit shots on the front nine at the Augusta National Golf Club. 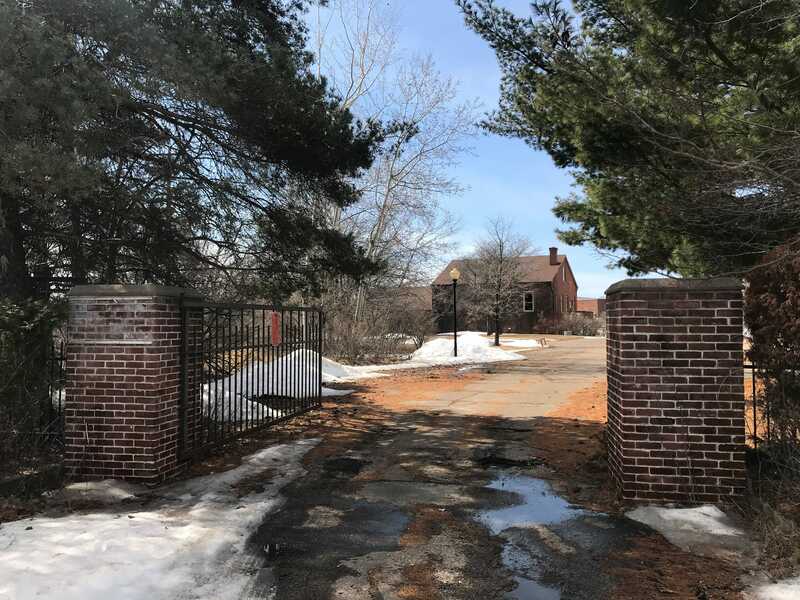 Ken Notes: Every year I include this link and it is almost always the most clicked link in the newsletter demonstrating, I believe, that Wisconsin`s development community is dedicated to finding the perfect landscaping options for there projects. Ken Notes: Congratulations, and now the work begins. Here are some issues at the top of the ED list. Housing not just for the poor but for the middle class and service worker. Smaller units more density? Transit, I have been writing about BRT for 11 years now so hearing it offered as a solution was nice -- but BRT still requires infrastructure in the form of dedicated lanes, transit stations, and signaling. Project development, let the neighborhoods and special interested have a voice but not a mandate or the ability to significantly delay projects - time is money and the burbs are just sitting there. I also applaud the desire to improve relations with the council but there will remain a need to prevent them from micro managing a project once approved. I am looking forward to your vision and wish you the best. Also let me know how I can help. Gov. 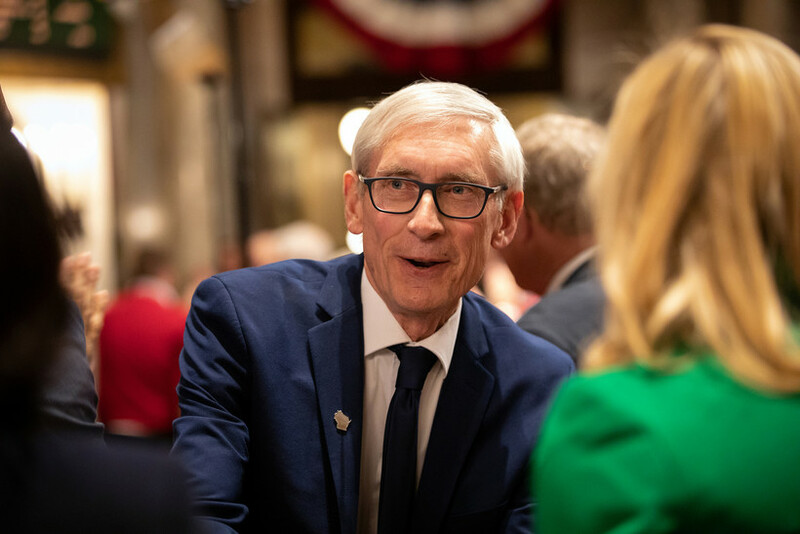 Tony Evers said Wednesday he wants to renegotiate the state`s contract with Foxconn Technology Group and emphasized the Taiwanese company won`t be creating 13,000 jobs in Wisconsin as originally envisioned. Ken Notes: I believe it may be premature to renegotiate anything because quite simply Foxconn is not sure exactly what they will be building at the new plant. The current agreement is predicated on job creation so the state is not releasing large tax credits at present. 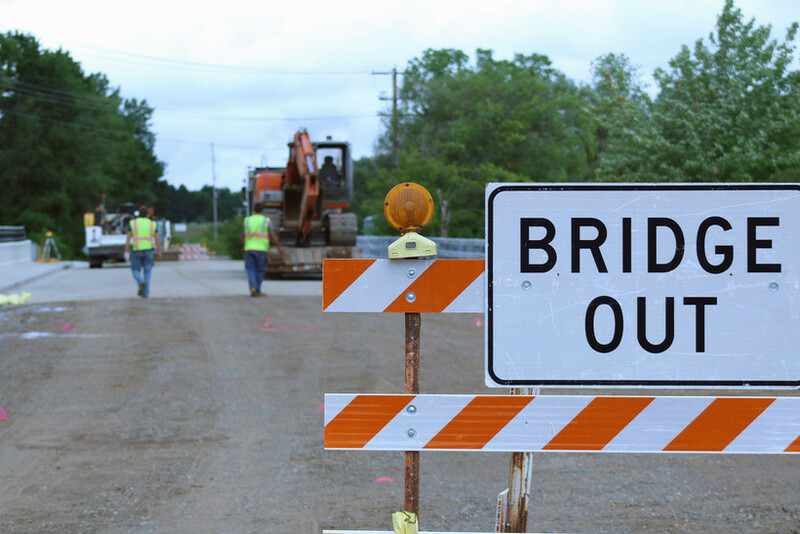 It is the local communities that may have a real problem because infrastructure goes in before the project - so land, sewer, water, power, and roads are currently under construction for a project whose final value may not fully support the investment. I continue to hope that the development agreements are enforceable to support these investments. Judge Niess` ruling gives Evers the authority to appoint a new CEO to lead the Wisconsin Economic Development Corp., but Evers said he won`t do that for now. Democratic Gov. Tony Evers said Monday he would move as quickly as possible to make appointments to 82 positions that became vacant after a contentious court ruling last week. Ken Notes: Good move on WEDC. 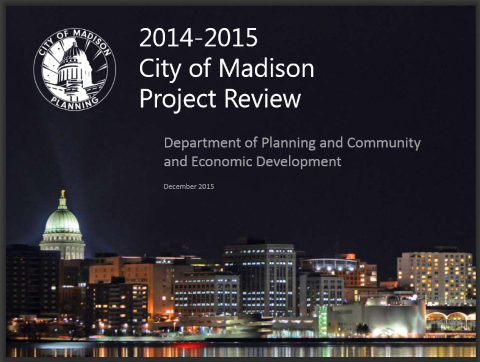 The question needs to be what will WEDC look like... What is the supporting legislation and funding behind the organization... And how will local incentives (TIF) be aligned in support of growth and development... and just because I like to stir the pot, how will local ED professional become more involved. Ken Notes: It is NOT CONFUSING it is business. The margin on TV`s went away so Foxconn has decided to find other markets for new products to make. It will then manufacture these new products in a facility here in Wisconsin. They currently do not know exactly what those products are so finding new technology is their focus. This does not make for good press bites so they quiet. This story is not fair and Wisconsin needs a spokesperson that can address the issues with some degree of calm. Republican lawmakers challenged top members of Gov. 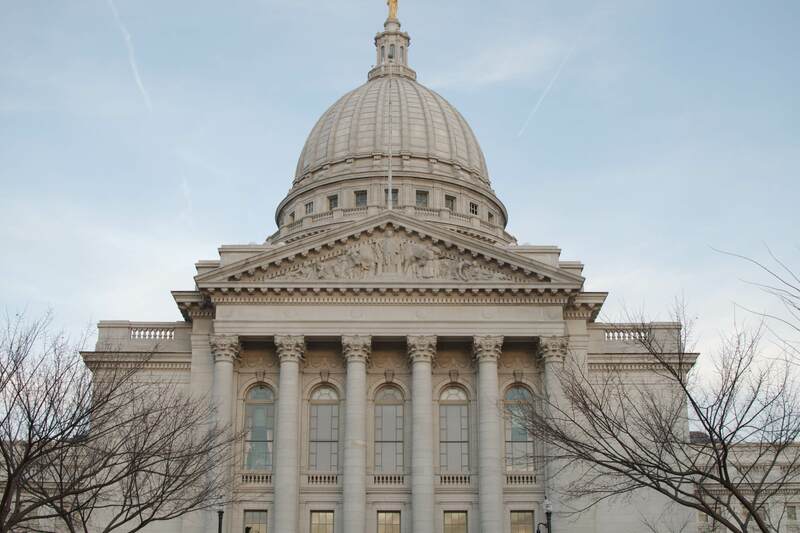 Tony Evers` cabinet to defend the governor`s budget Wednesday, sending strong signals that major pillars of the plan wouldn`t survive the Legislature. Wednesday`s agency briefings in front of the powerful Joint Finance Committee covered schools, health care and roads -- three of Evers` top priorities when he campaigned for governor in 2018. They also account for some of the largest spending increases in Evers` budget proposal, driven in part by tax increases that Republicans say are non-starters. Ken Notes: I hate that this is partisan not policy driven. We need to tie outcomes to our taxes and spending and joint finance is very numbers only driven. Of course the other side of the coin can be too program driven. 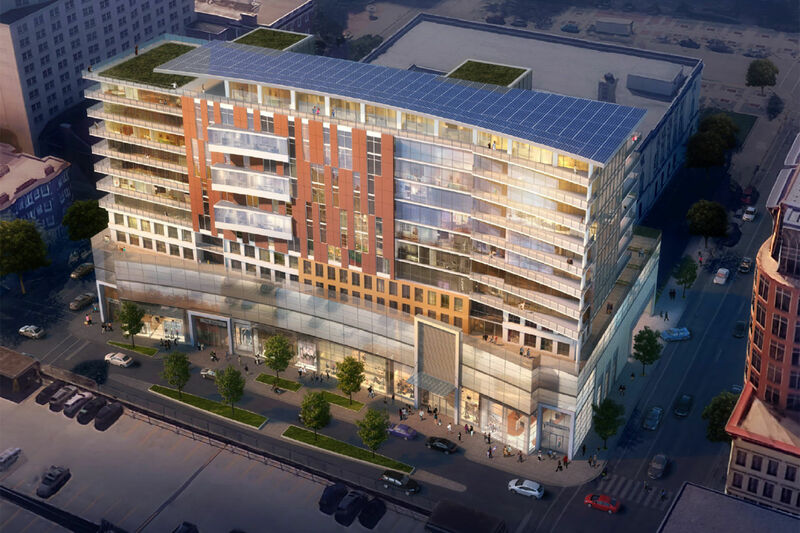 Three developers are offering proposals for big mixed-use projects priced between $38.2 million and $52 million above a public underground parking garage nearing completion at Judge Doyle Square in Madison’s Downtown. Ken Notes: Congrats!!! Nice NATIONAL attention!! This has been fun to watch. I think the downtown will continue to grow and become a global destination. The 2020 DNC event will be huge (yes I am trying to reclaim the term from those who may have stolen it from our lexicon) and a great opportunity for the State!!!! The Chicago region’s industrial sector keeps setting records for absorption and new construction, but the demand for industrial properties is surging all over the nation, even in small secondary markets, and just over the northern border with Wisconsin a new powerhouse is developing. A new report from the Federal Reserve Bank of Minneapolis found retirement-age Americans without a college degree are worse off than their parents` generation. The study found white Americans born around the 1960`s who didn`t go to college earned lower wages than the same demographic born 20 years earlier. The younger cohort were also expected to pay much higher out-of-pocket medical expenses and had lower life expectancies than the older group. Mid-State Technical College in Wisconsin Rapids is one of just seven schools in North America to earn the 2019 Learning Resources Network (LERN) Training Award for Excellence in Reaching Underserved Populations. Ken Notes: ...and while I am on my soapbox, let me suggest we have the tools in place to create a GREAT workforce. Since I cant find funding for WisconsinApprentice.com I will talk about programs in WDN because our economy depends on using the tools like our Tech Colleges to their fullest capacity. Congrats Mid-State! The new $128 million streetcar opened to the public in November. The controversial project has its share of critics, but also has attracted significant interest from real estate developers. 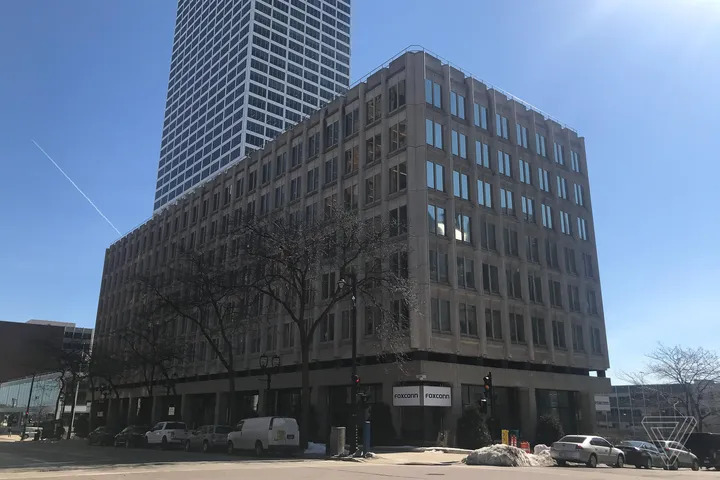 Local developer Charles Bailey has put forward ambitious plans to redevelop the historic building at 600 N. Broadway in downtown Milwaukee into a 62-room boutique hotel with street-level restaurant or retail space. Ken Notes: For the one thousandth time over the last 11 years. Madison Terrace to terrace -- rubber wheel -- alternative fuel! 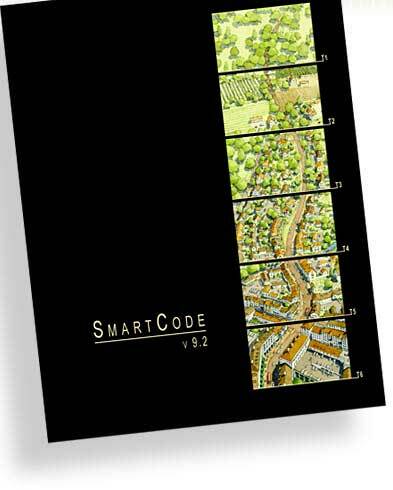 SmartCode is a unified land development ordinance template for planning and urban design. 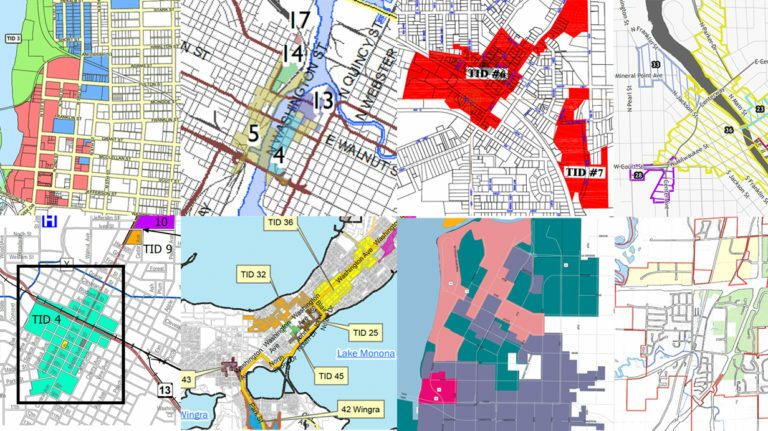 Originally developed by Duany Plater-Zyberk & Company, this open source program is a model form-based unified land development ordinance designed to create walkable neighborhoods across the full spectrum of human settlement, from the most rural to the most urban, incorporating a transect of character and intensity within each. Ken Notes: I included a link to this last week but it was broken -- this one works and I will keep it at the bottom of WDNews for a while as a resource. If there is enough interest I can put together a seminar on this and bring in some experts to explain it. 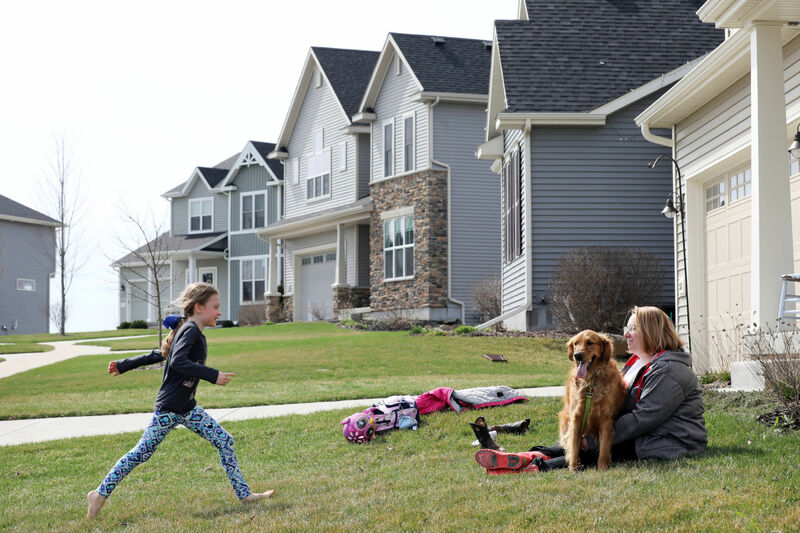 Fitchburg is using SmartCode for an new subdivision in the community. A state appeals court has sided with Gov. 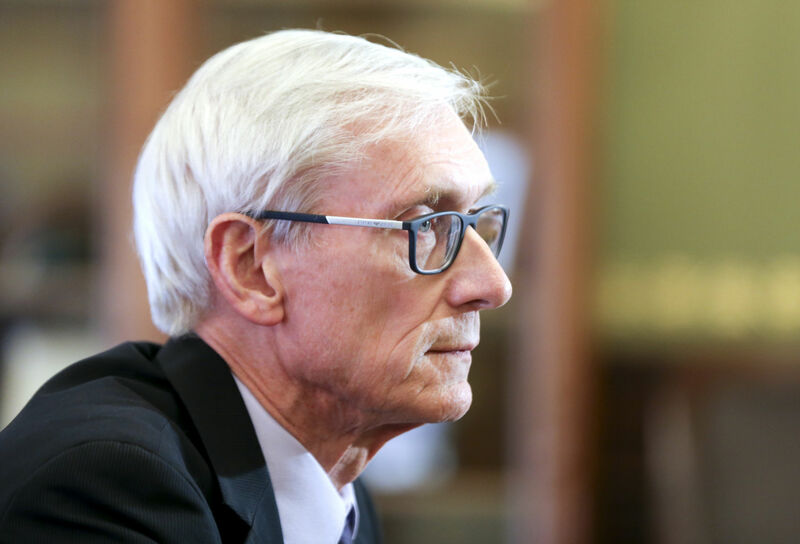 Tony Evers in a dispute with Republican lawmakers over Evers` decision to rescind 15 lame-duck appointees made by Gov. Scott Walker. Republican state Senators confirmed 82 Walker appointees during December`s lame-duck session. Evers rescinded all 82 of them last month, shortly after Dane County Judge Richard Niess ruled that the entire lame-duck session was unconstitutional. Is Milwaukee ready to host the 2020 Democratic National Convention? Ken Notes: This will be great for the State and we will be ready!!! Ken Notes: I have been advocating for simpler TIF rules with stronger guarantees especially for smaller communities. These changes are anything but that. The stress test specifically would be both difficult and expensive for cities to complete. Also how do you develop infrastructure for a project with no specific project on the boards. We need a simple TIF program for smaller cities to help expanding or new businesses with a development agreement based incentive that is bank financed up front. After a five-month stagnation at 3 percent, the Wisconsin unemployment rate fell to 2.9 percent in February 2019. Ken Notes: This is great, now if we can get more of these working adults into skilled positions with a great wage and good benefits! 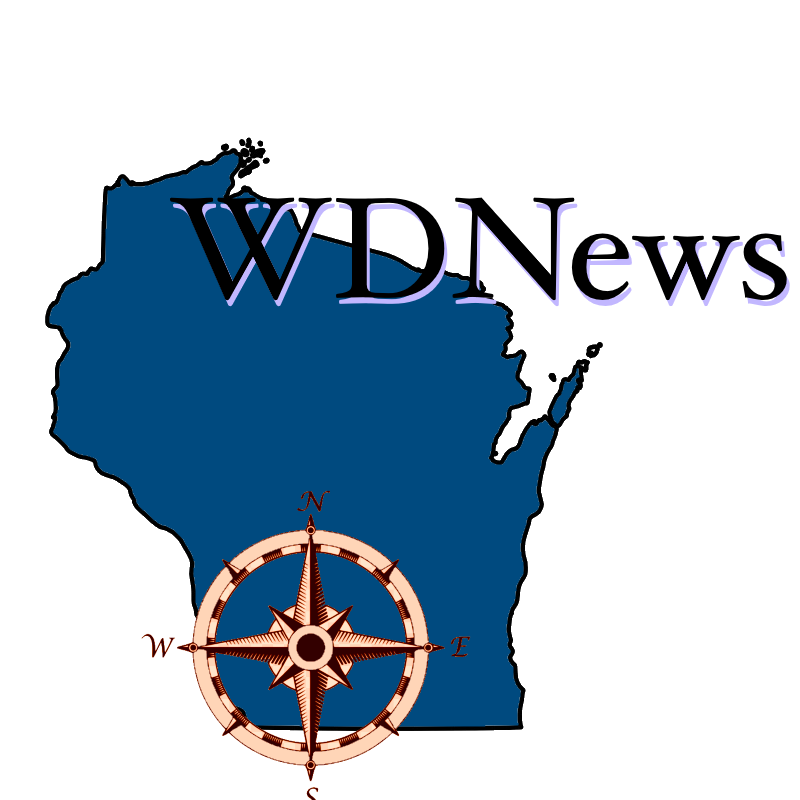 The Wisconsin Housing and Economic Development Authority (WHEDA) has issued $165 million of Home Ownership Revenue Bonds that will be used to fund WHEDA first-time home buyer mortgages. Proceeds are expected to be spent before June 30, 2019, during the heart of the annual spring home buying season. Though the rate of growth continued to slow, Dane County accounted for a quarter of Wisconsin’s population growth in 2018. 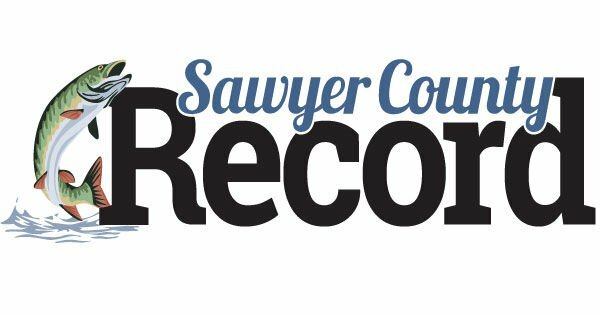 County-level population estimates released Thursday by the U.S. Census Bureau show the county added about 5,584 people, more than any other county in the state. 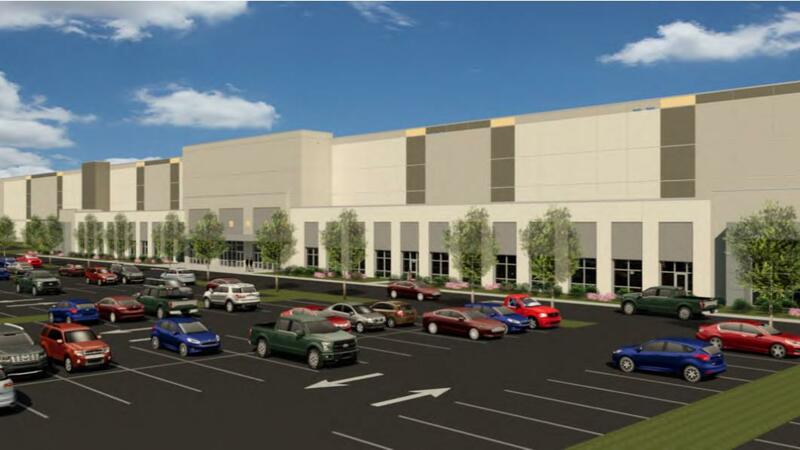 The Wisconsin Economic Development Corp. has awarded up to $7.5 million in tax credits to Amazon.com for job creation and capital investment for any investments Amazon makes in Wisconsin, including the company’s new $200 million Oak Creek distribution center. Ken Notes: I do not have a problem with offering incentives to Amazon, I just wish we had a program for EVERY growing business in the state to benefit from expanding their workforce. It has to be frustrating for a small Wisconsin firm wanting to bring on two or three employees to see big brother get millions. 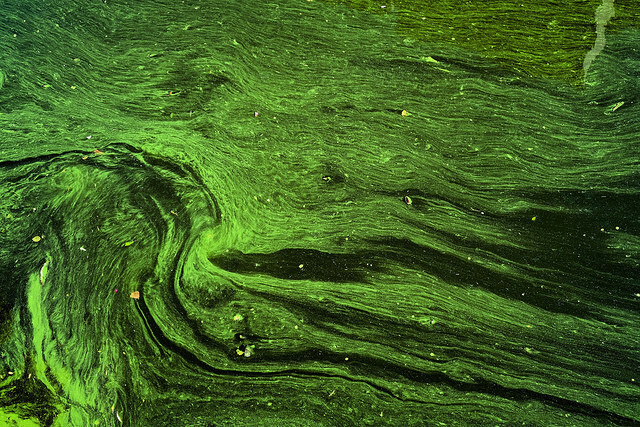 The Wisconsin Natural Resources Board unanimously approved public hearings on a proposed rule that would create a process for setting site-specific phosphorus standards on the state`s bodies of water. MILWAUKEE — The Medical College of Wisconsin (MCW) and the Greater Milwaukee Foundation have established a joint vision for impact, selected a developer and announced the future neighborhood and home of their community-based partnership as it moves forward into development stage. Ken Notes: Perfect adaptive reuse of a great building!!! Gone are the days when people associated Kansas City only with factories, railroads and great barbecue, even though all three still flourish. Ken Notes: As I follow Foxconn and others it is obvious that our ability to develop and manufacture new tech will be key to Wisconsin`s success. I would love to see us expand in battery tech, records management, medical tech, renewable energy, transportation, and robotics and automation. 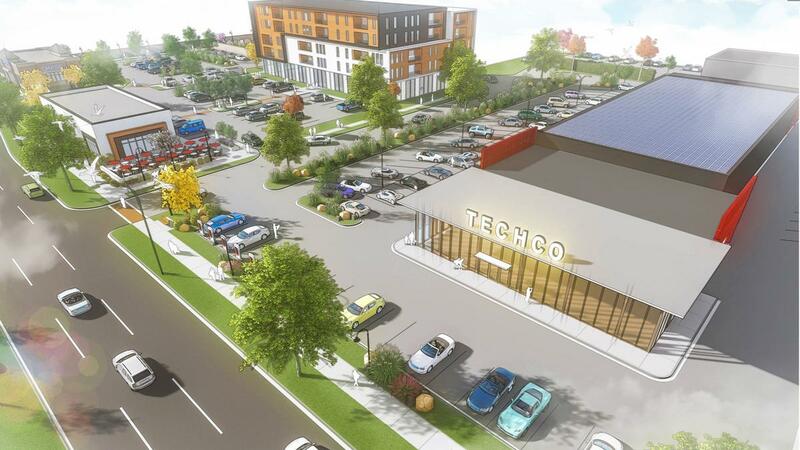 Boulder Venture LLC will continue working on a Wauwatosa development that could bring Wisconsin its first Tesla showroom and service center after city officials on Tuesday rejected its most recent plan. Ken Notes: I have to agree that the Stewardship Fund is one of our greatest assets. If we do anything to alter it`s course we should address ways to improve the funds available and their use. I have proposed a TIF like structure to buy and protect Wisconsin lands. Imagine a State Park or Forest with some lands available for use as a private development for tourism. 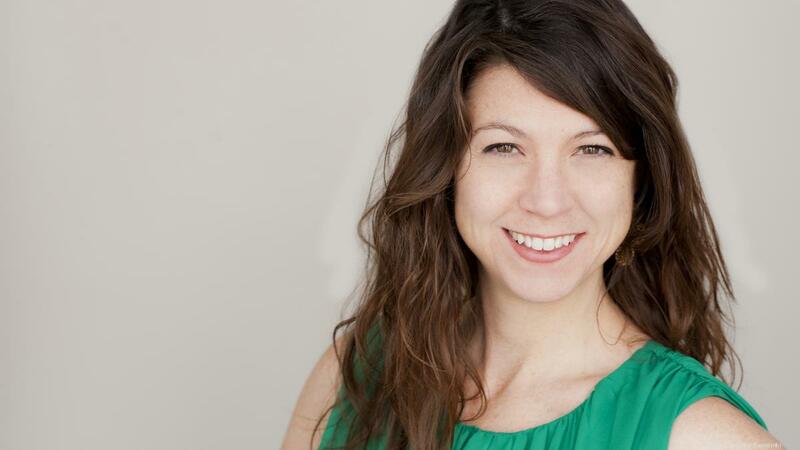 Based in the Lincoln Warehouse in Milwaukee’s Bay View neighborhood, Top Note parent La Pavia Beverage LLC makes non-alcoholic sparkling sodas and aromatic tonics often used in mixed drinks. Ken Notes: I sse a niche market in Wisconsin for "Craft Alcohol" beer, wine, spirits, mixers, and more... There must be a CBD soda coming soon! Ken Notes: Lots of great info in this interview. Wisconsin Gov. Tony Evers this week signed an executive order launching a joint enforcement task force on payroll fraud and worker misclassification. The task force will coordinate worker misclassification matters handled by the Departments of Revenue, Workforce Development, and Justice, as well as the Office of the Commissioner of Insurance and other agencies; it will report to the governor on or before March of each year on their activities. Ken Notes: I have been advocating for simpler TID rules with stronger guarantees especially for smaller communities. These changes are anything but that. The stress test specifically would be both difficult and expensive for cities to complete. Also how do you develop infrastructure for a project with no specific project on the boards. We need a simple TIF program for smaller cities to help expanding or new businesses with a development agreement based incentive that is bank financed up front. Ken Notes: MBJ is behind a paywall so I did not get to read the story but I am guessing Sara, secretary-designee of tourism for Wisconsin, was correct. Wisconsin has a great story to tell and if we work at it we could have even more to say by 2020. I vote for a newly restructured WEDC and TIF reform offering incentives to every growing business in the state paying good wages and offering great benefits. 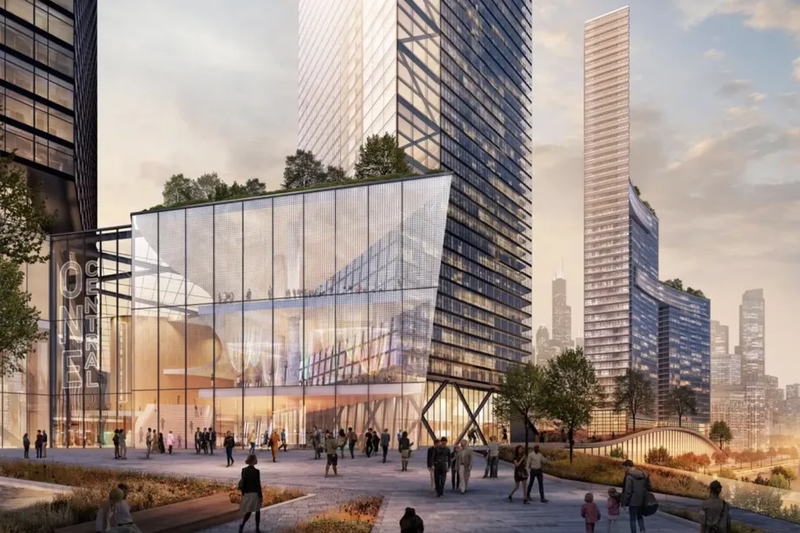 Notes: I agree with the premise that development would happen without TIF, but strongly disagree that TIF may not be an important element of local development. TIF brings the community to the table! TIF can be used to create infrastructure that might not otherwise be developed or improved. 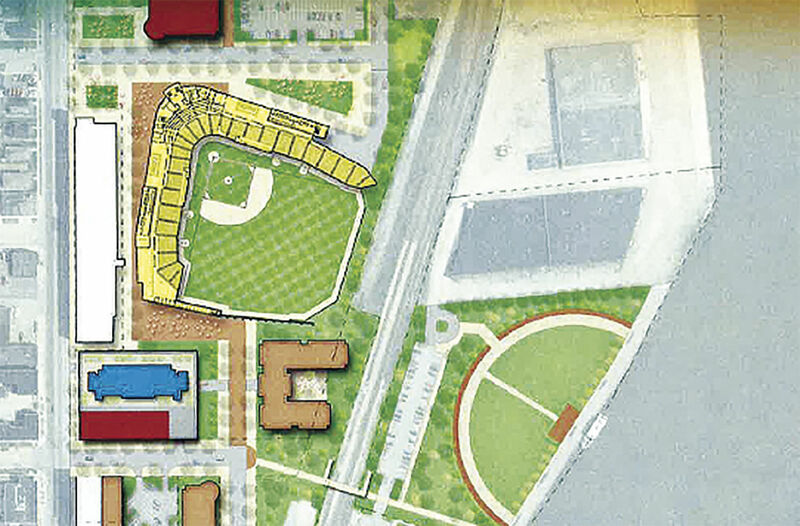 TIF can encourage the development a community wants. This article is both very biased and with that in mind somewhat informative. I would love to see an article covering the same issues using successful projects and creative uses as the examples (See Link Above). Finally I see many communities that do not fully understand the tool and its uses. GREEN BAY - An Iowa development group could be the first to use a 2017 federal tax incentive to redevelop property in Green Bay. Merge Urban Development Group, of Cedar Rapids, has secured a six-month planning option a vacant, narrow strip of city-owned land at 321 and 325 N. Broadway. 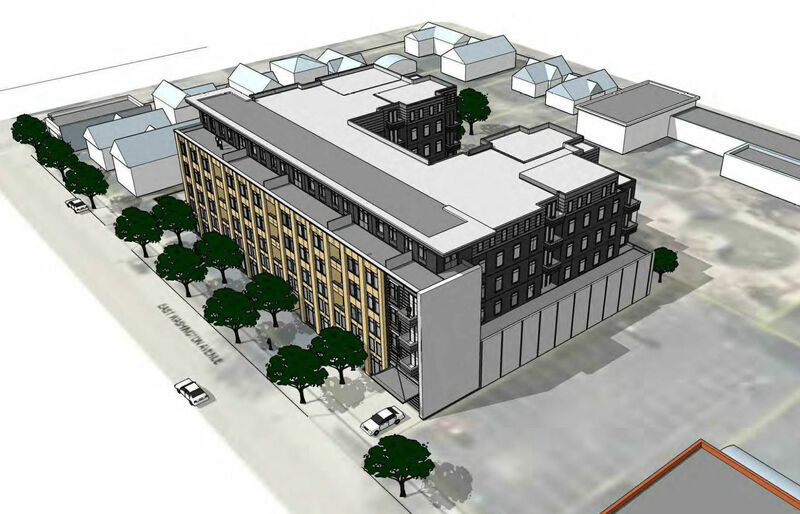 The group is developing plans for a three-story, 33,000-square-foot building with 24 apartments, underground parking and 2,000 square feet of first-floor commercial space. Work would likely start in 2020. Ken Notes: I promise that public private partnerships like CDFI`s are the solution to many of our problems. This program is one being considered for elimination in the federal budget... Because it works??? Foxconn Technology Group has awarded contracts to five companies for utility and road work at the site of Foxconn`s planned manufacturing complex in Mount Pleasant. The contracts are to be formally announced later this morning, but the names of the firms receiving the work were posted Thursday on the state`s WisconnnValley.gov website. Ken Notes: Interesting read. 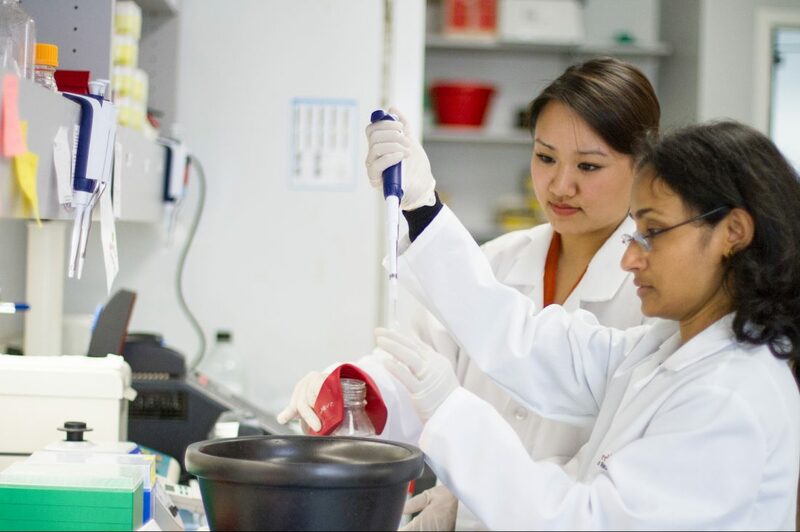 I am still a fan of WARF and we get some wonderful research grants but much of our research does enter the private sector more quickly than on other campuses. 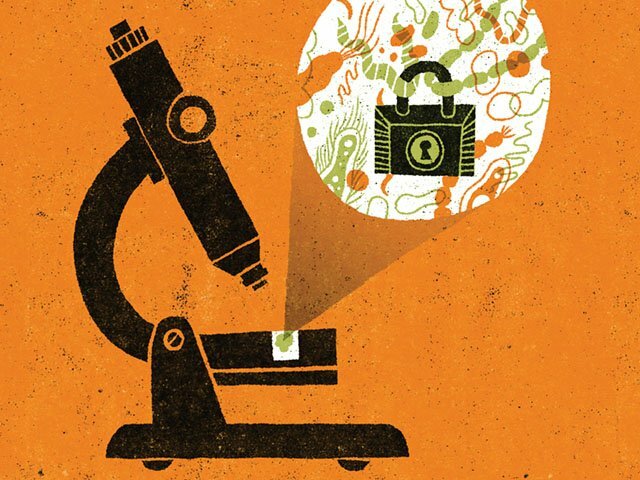 The article does identify a number of private sector startups - but then suggest even our own companies are funding research at other institutions. “Well, I’ve dealt with that conservative law firm once or twice,” Evers said wryly, going on to question the accuracy of the report. Years before he was elected governor, the Wisconsin Institute for Law & Liberty was a thorn in Evers’ side, suing him and otherwise challenging him in his capacity as state Superintendent of Public Instruction. 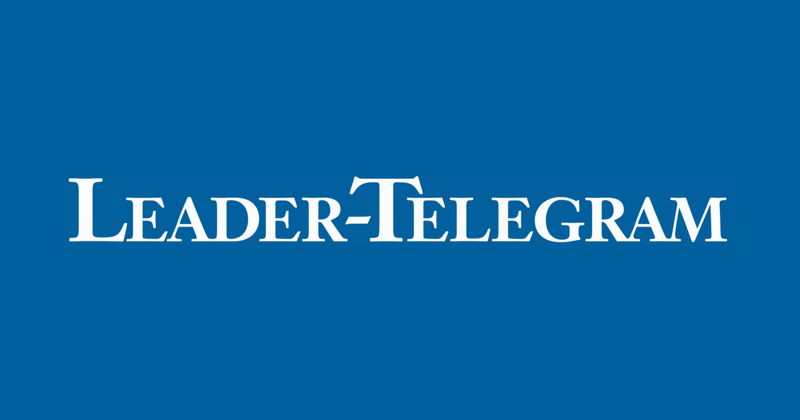 Since Evers was elected governor, the organization has added five people to its team as it seeks to expand its footprint and serve as a leading opposition figure in the face of a new Democratic administration. Ken Notes: Why can`t the Wisconsin Institute for Law & Liberty work with the new Governor to shape policy in the interest of Wisconsin citizens. Partisanship must end and it could start in Wisconsin, alas we have deepened the trenches and are looking for more ammunition. I believe the result will be a battle where everyone looses - Except Lawyers. Scary isn`t it! States are increasingly “lured by the federal government” to receive so-called free money, but in the process have become “branch offices of Washington – or, even worse, indistinguishable from the federal government itself,” according to an analysis published by the state’s fiscally conservative think tank, the Badger Institute. This costs taxpayers money and increasing intrusion into their personal lives that is unwarranted, the authors of the report argue. 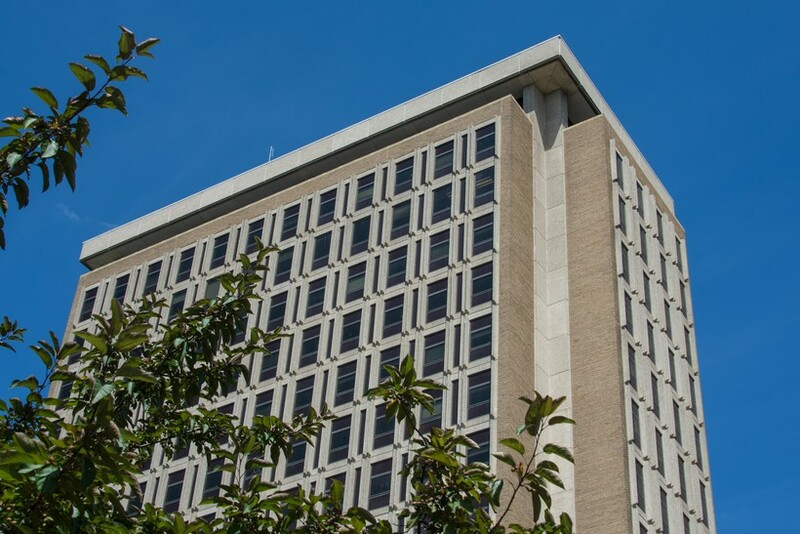 In early March, the Higher Learning Commission (HLC) accrediting agency notified UW System administrators that it had given final approval to the merger of the state`s 13 two-year colleges with seven of its four-year universities. The restructure also eliminated the UW Colleges and Extension and moved its services, including Wisconsin Public Radio and Wisconsin Public Television, to new homes within the UW System. Ken Notes: We need solutions for this that are neighborhood based. This is also an area where quality jobs and income are a factor. It is difficult to pay $200 - $300 when you make $10 / hour. 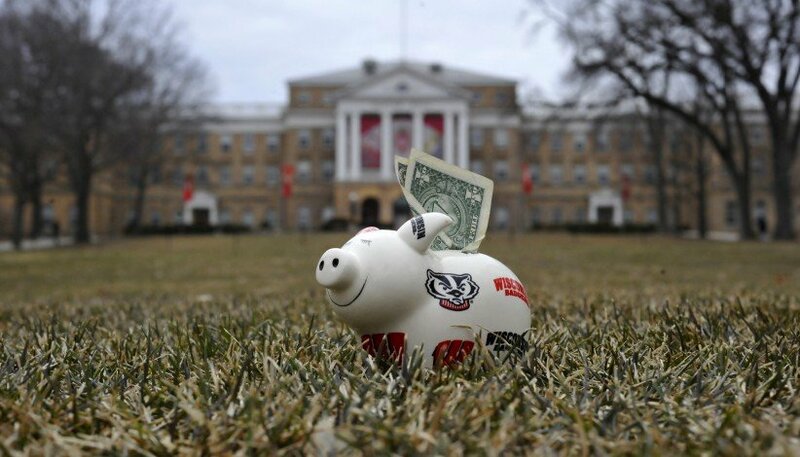 A national report ranked Wisconsin as having the fourth-largest decline in per-student higher education funding between 2013 and 2018. Ken Notes: I would love to see more innovative programs coming out of the UW and tech systems. I would love to see more partnerships wit actual businesses - Have I ever mentioned apprenticeships??? 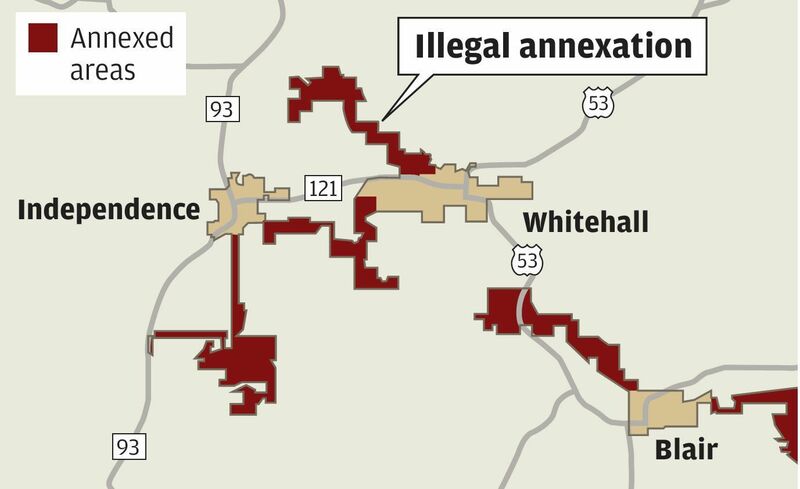 Ken Notes: We need to address annexation legislation and more importantly the ability for towns and cities to work cooperatively for the common good of both communities. The accelerator, formerly called Scalerator, was revamped last year in partnership with the University of Wisconsin-Milwaukee. Its faculty now teach the five-month business growth training program, which covers sales and marketing; finance and operations; and management. 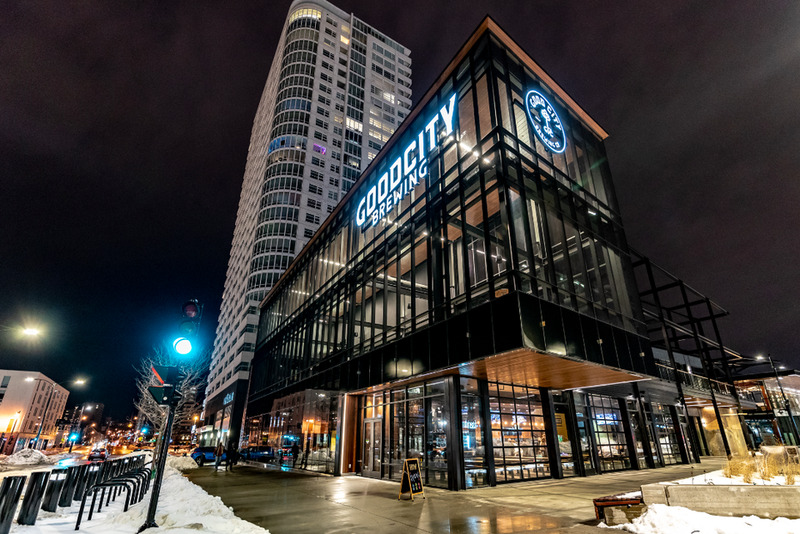 An initiative of the Greater Milwaukee Committee, Scale Up Milwaukee’s mission is to help existing southeastern Wisconsin businesses accelerate their growth to drive economic development. 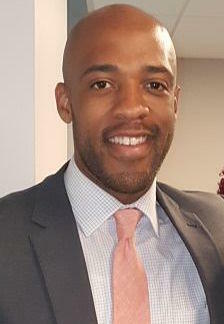 Ken Notes: I am looking to scale up WDN and the development network or return to a position where I can work in communications, promoting economic development. 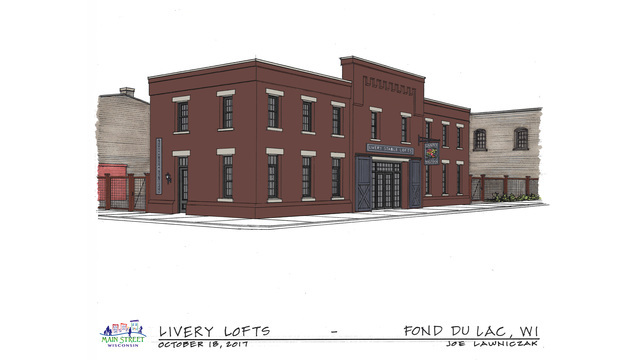 A $90,000 state grant awarded to the City of Fond du Lac will assist in redeveloping a vacant commercial building into a mixed-use development. 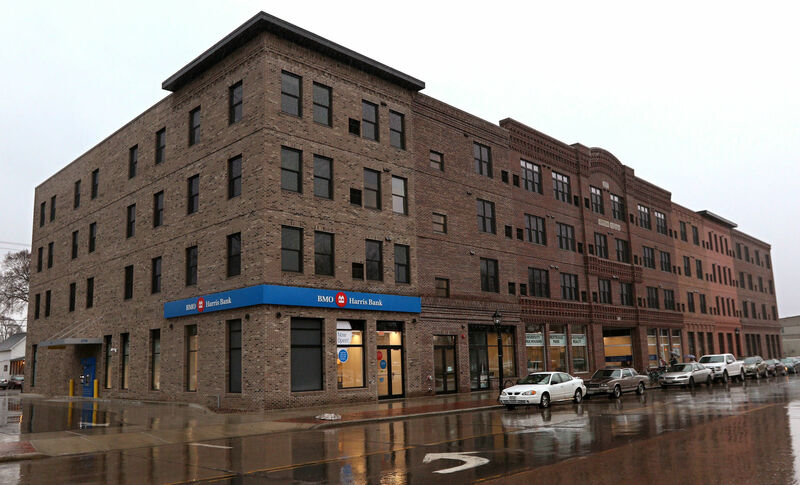 The building, located at 18 E. Division Street, will become The Livery Lofts, featuring an upscale tavern and residential lofts, according to the Wisconsin Economic Development Corporation (WEDC). An existing asphalt parking lot will also be redeveloped into a new outdoor dining area for the tavern. 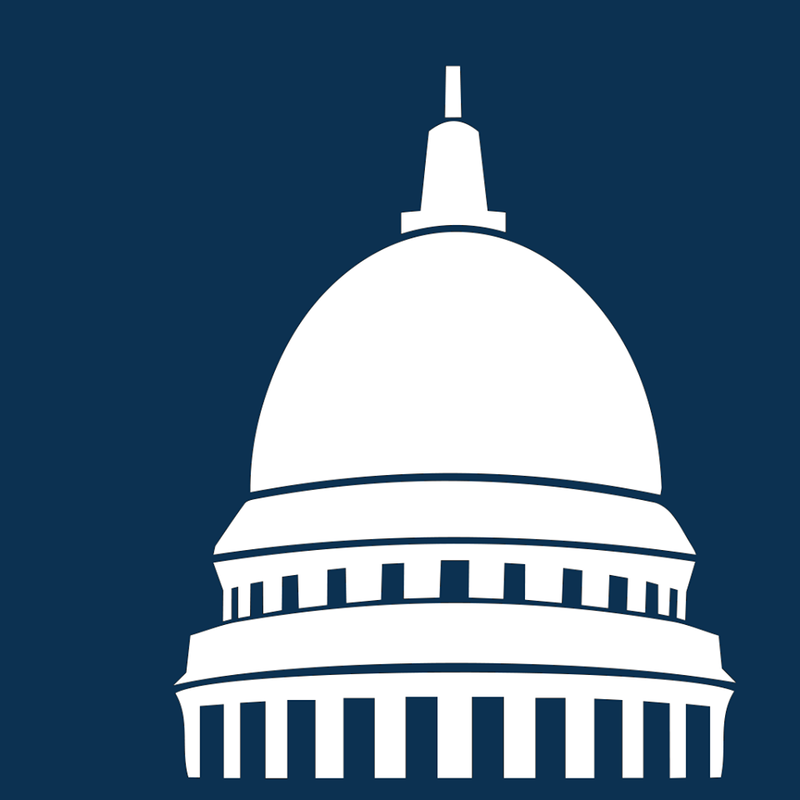 Governor Tony Evers announced that local governments received quarterly payments on Monday totaling $90,431,667 for General Transportation Aids, Connecting Highway Aids and Expressway Policing Aids from the Wisconsin Department of Transportation. 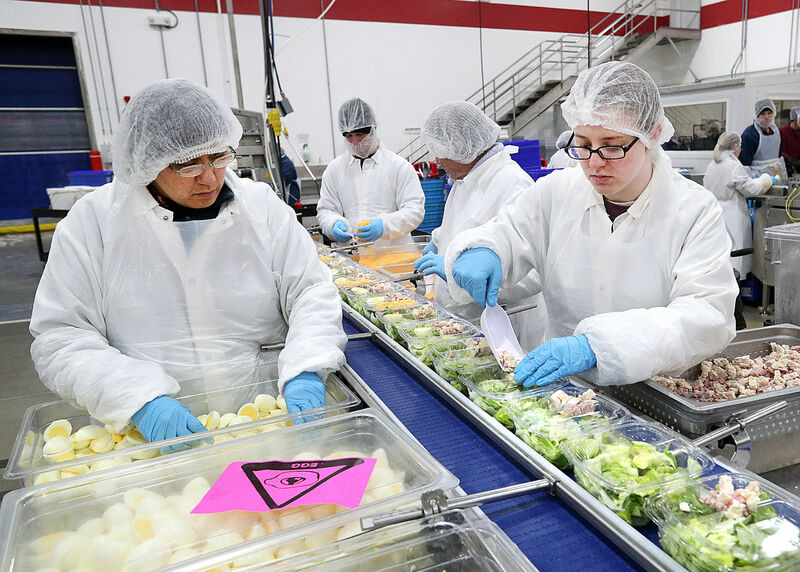 "Manufacturing, believe it or not, is a driving industry here in Dane County," Danica Nilsestuen, Director of Business Development and Workforce Programs for the Workforce Development Board of South Central Wisconsin, said. Over 600 manufacturing companies call Dane County home and the Workforce Development Board of South Central Wisconsin wanted to highlight some of them for their first `How it`s made in Dane` open houses. 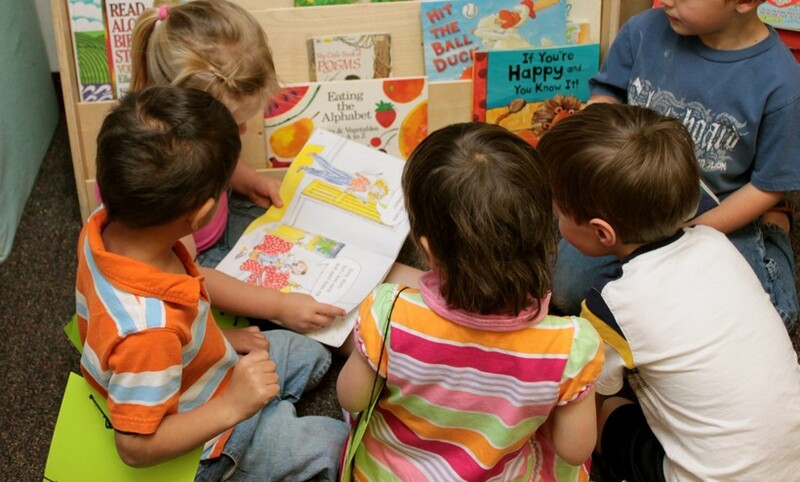 Visions Northwest, Northwest Wisconsin Workforce Investment Board and the Northwest Wisconsin Educators for Regional Development again are partnering on the Regional Insights on the Economy (RIsE) Breakfast Series. 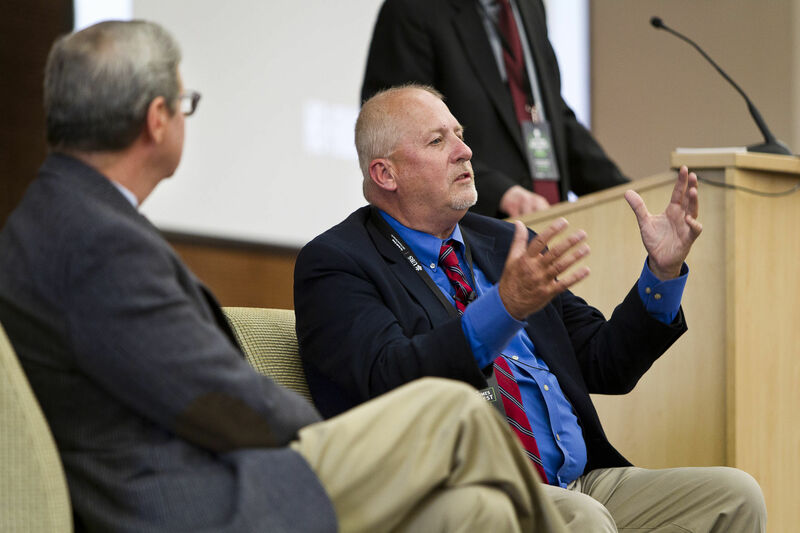 The 2019 series will focus on “Rising to Success: Business Startups in Northwest Wisconsin.” Sessions are scheduled from 8 to 10 a.m. Thursday, May 2, at Flat Creek Lodge in Hayward and Wednesday, May 22, at North Central Technical College in Phillips. Finance, real estate and insurance businesses are one of our best bets for state prosperity. Wisconsin`s Lt. 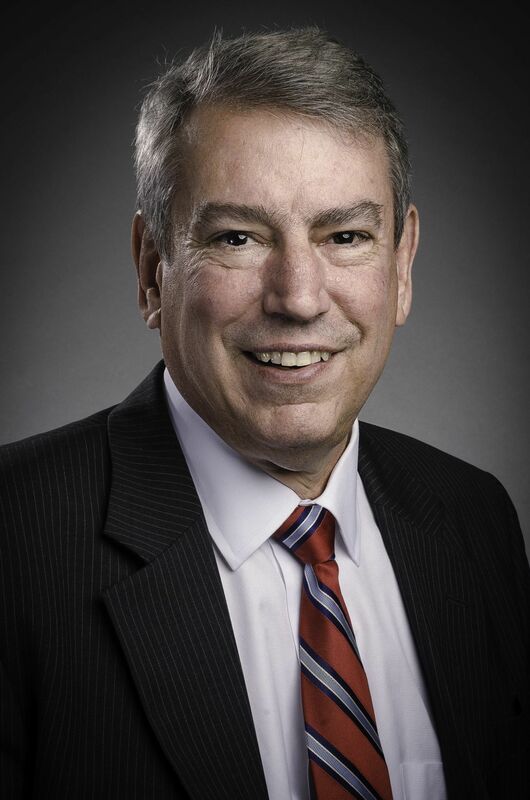 Governor will be the keynote speaker next week as Oneida County Economic Development Corporation hosts it`s annual luncheon at Holiday Acres near Rhinelander. A new concept for Hy-Vee is being planned for Sun Prairie. The Iowa-based grocery retailer has received approval from the city to construct what is being billed as a Hy-Vee HealthMarket. 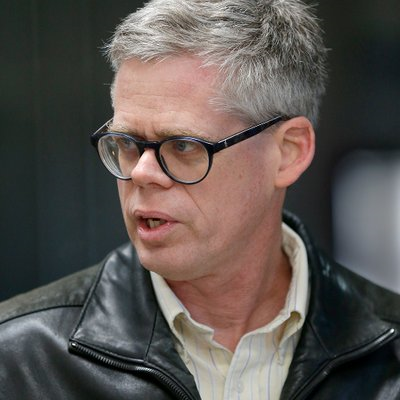 Ken Notes:Sheesh Neil toss the rest of us a cookie now and then!!! Door County`s effort to improve business ties with its sister city Jingdezhen, China is getting help from the State of Wisconsin. 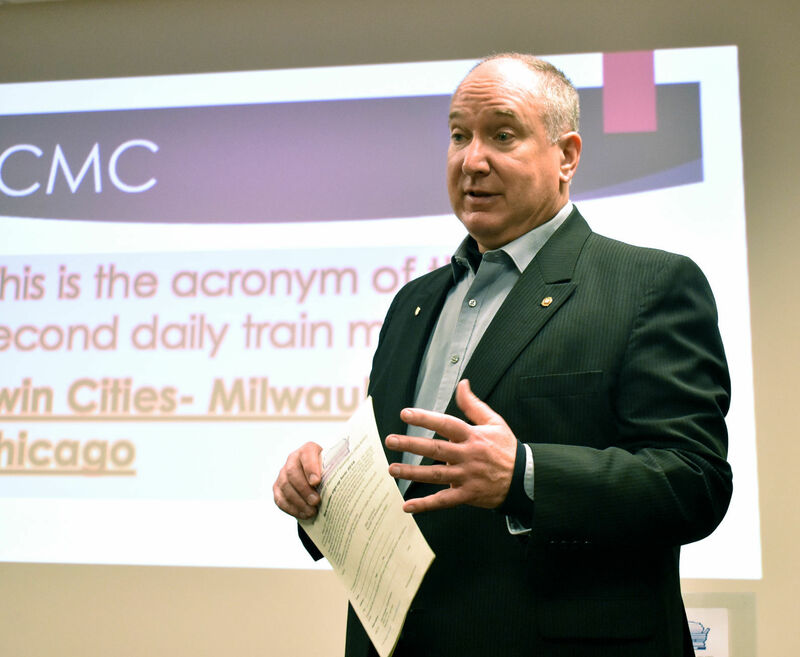 During the Door-Kewaunee Legislative Days in Madison, Door County Board of Supervisors Chair Dave Lineau learned there are programs that could help local businesses overcome the challenges of doing business in China. In its stores, Kwik Trip customers may see baskets filled with muffins, a cooler with white and chocolate milk and a case that holds a few salads, cups of parfait and fresh turkey sandwiches on cranberry wheat bread. Wisconsin Dairy Task Force 2.0 members passed 49 of the 51 recommendations on which they voted during the group’s full meeting on March 15 in Sheboygan County. The recommendations were developed by task force members with the intent of maintaining a viable, profitable dairy industry in the state. 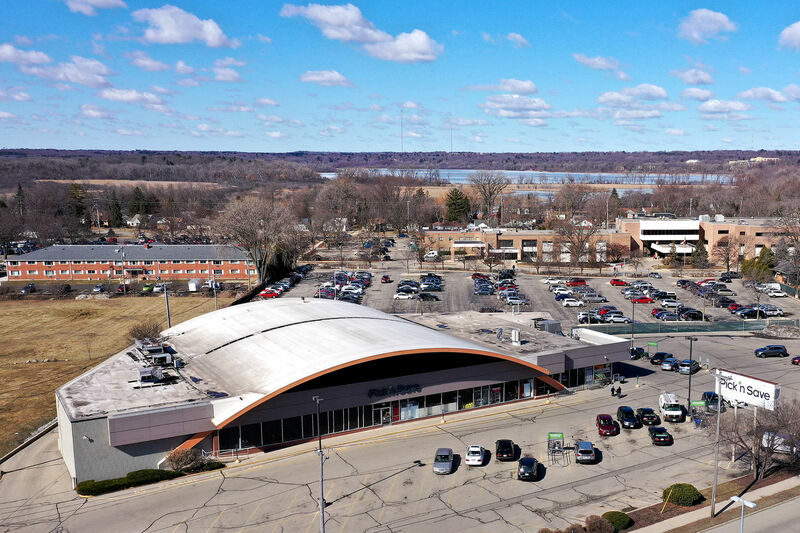 The city is bringing a condemnation case against the former Northridge Mall — an effort to eventually redevelop the long-closed property on Milwaukee`s far northwest side. 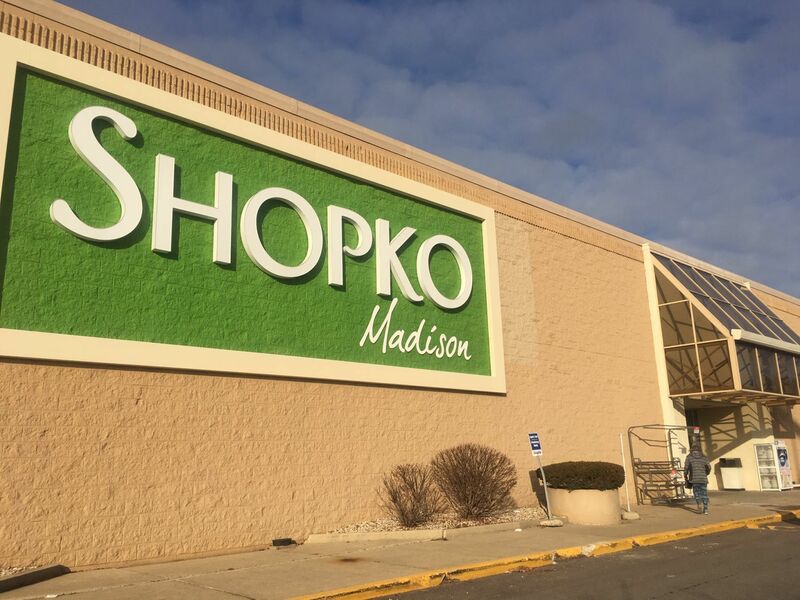 An order from the Department of Neighborhood Services, posted Thursday, demands the mall`s owners, a Chinese investors group, demolish the 900,000-square-foot building because it`s dilapidated and a threat to public safety. Once demolished, the land beneath the the building and its parking lots, north of West Brown Deer Road and west of North 76th Street, could be used for light industrial buildings, housing or other new developments. Ken Notes: If you have empty stores act quickly to reuse the brick and mortar because vacant in deteriorates quickly. 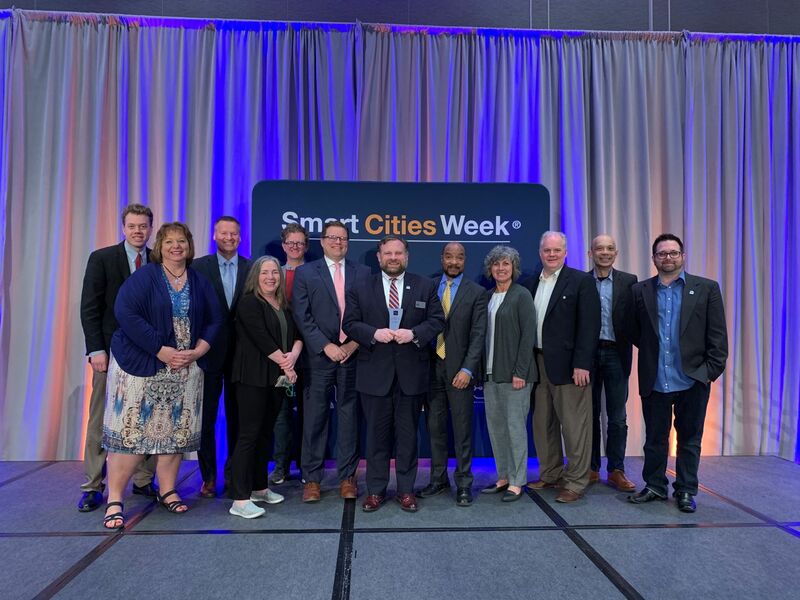 RACINE — The Smart Cities Council has chosen Racine as one of the five winners of its Smart Cities Readiness Challenge, the council announced Tuesday. 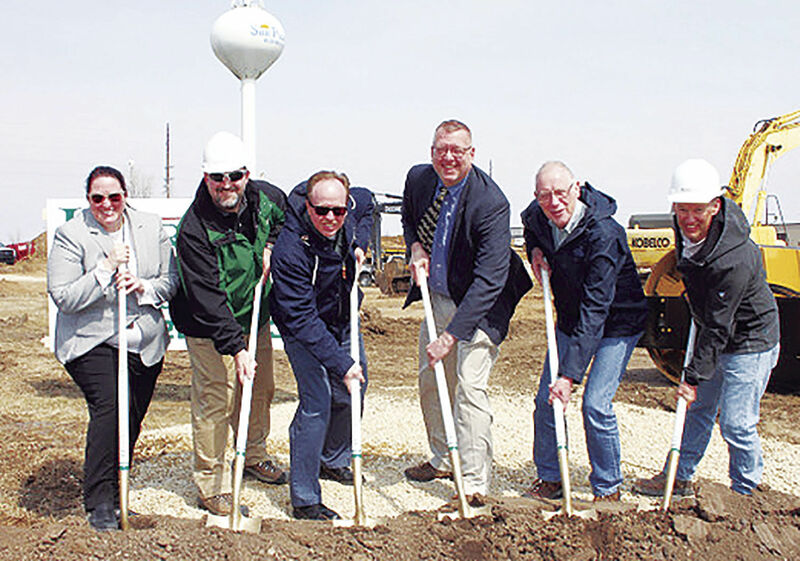 City officials participated in the ceremonial groundbreaking ceremony at MacDon’s new research and development facility in the Sun Prairie Business Park on March 27. Six young high-tech businesses in the Madison area are getting a financial push from the state to get their products ready to sell. The startups are developing products ranging from bio-renewables to drug development tools to software programs. 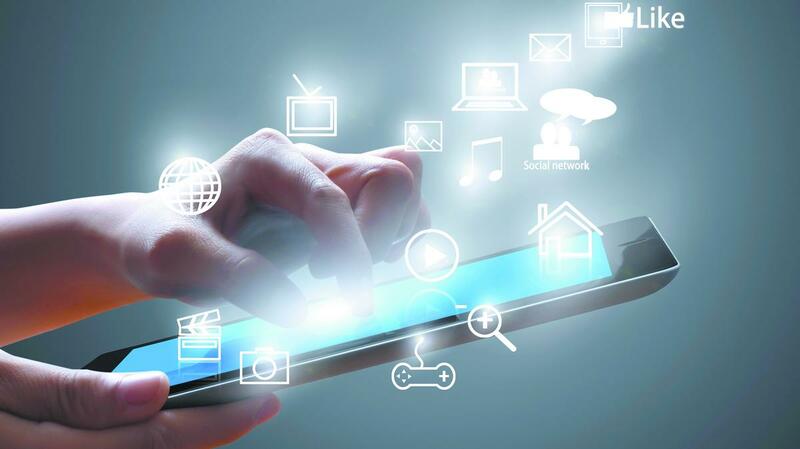 They will receive matching grants from the SBIR Advance program, a collaboration of the Wisconsin Economic Development Corp. and the UW System Administration`s Center for Technology Commercialization. ..
WAUSAU - An abandoned brick building sits on the edge of downtown behind the train depot and overlooking the river, covered in overgrown branches. It was once used as a power plant for local electric companies, but has been vacant for over a decade now and shows signs of wear. 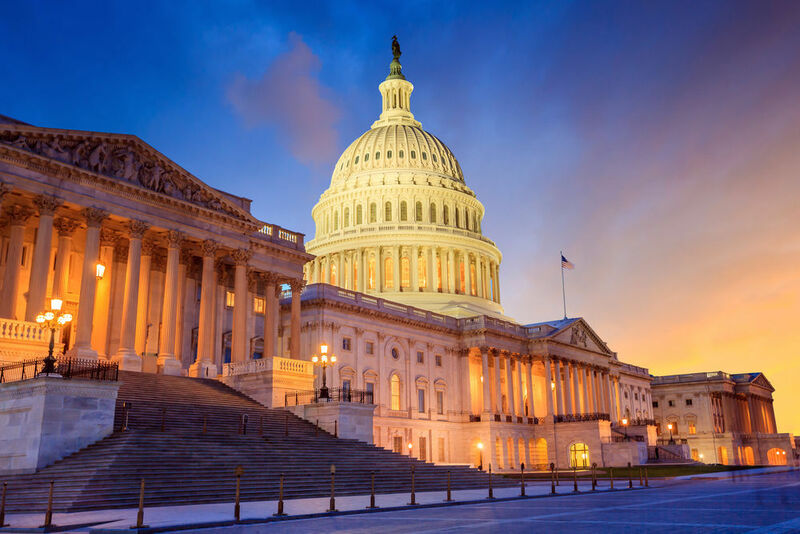 Apr 18, 2019--Monarch Private Capital (MPC), a nationally recognized tax-advantaged investment firm that develops, finances, and manages a diversified portfolio of projects that generate federal and state tax credits, is pleased to announce the financial closing of low-income housing tax credit equity (LIHTC) for a 28 million-dollar mixed-use residential development called Badger State Lofts. MPC has partnered with Indiana-based KCG Companies to develop the project, which expects to be placed in service in the spring of 2020. Ken Notes: With our TIF laws going from four pages to a book, we may need to sit down and rewrite the entire section. I would hate to see communities across the state having to go to court to defend their actions. 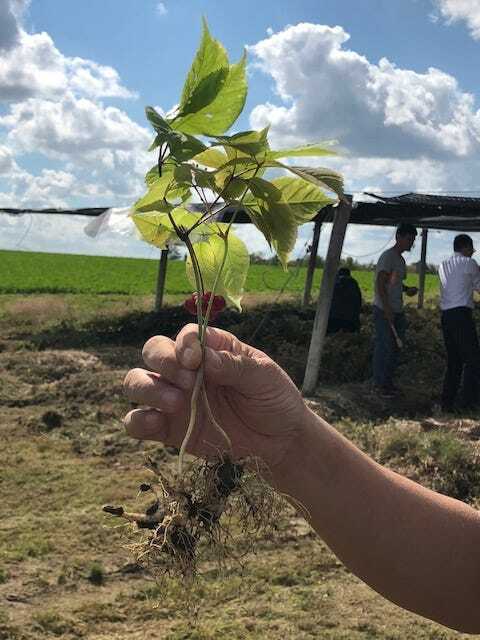 As ginseng growers in Wisconsin prepare to export fresh ginseng roots to Taiwan, they need to be able to show that the roots will not carry a harmful nematode that could infect Taiwan’s banana crop. 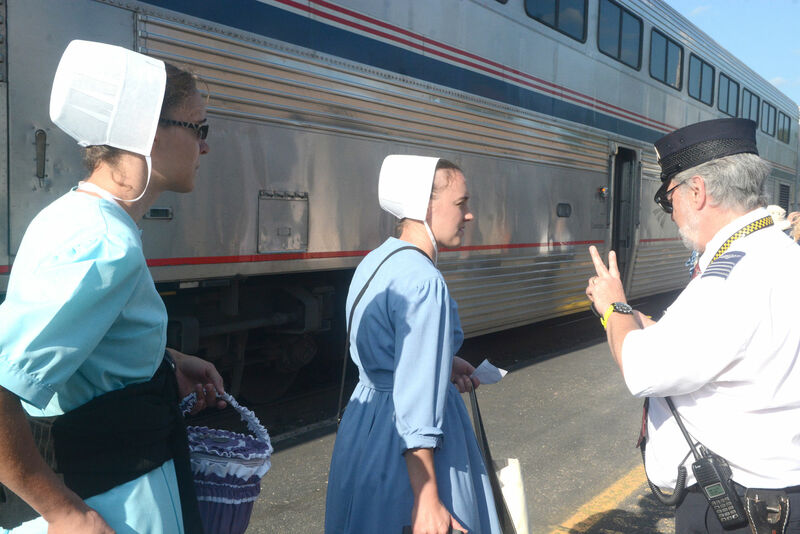 Those hoping for a second daily Amtrak train traveling across Wisconsin got good news from the passenger rail manager for the Wisconsin Department of Transportation. 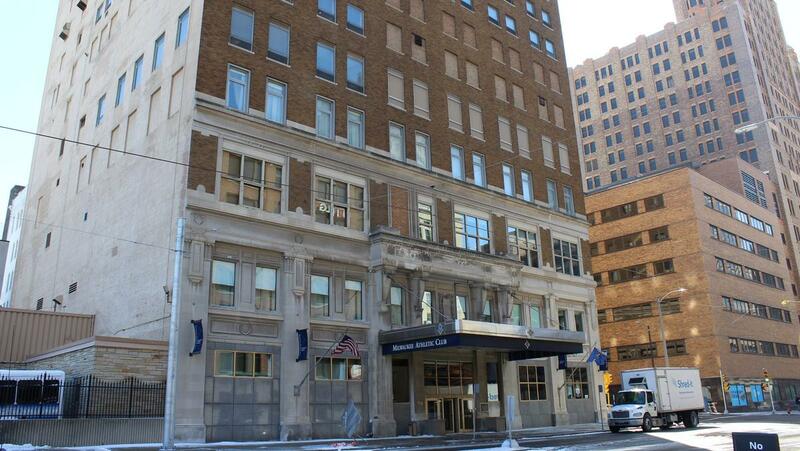 Local developers who will buy the Milwaukee Athletic Club in April partnered with a Denver operator for the 96-room hotel and restaurants planned as part of the downtown building’s “top-to-bottom” restoration. 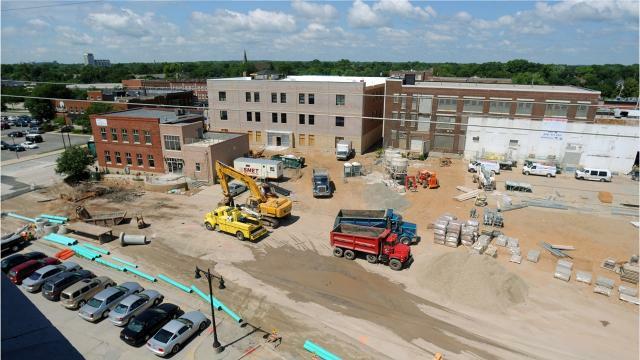 We`ve seen the importance of Main Street districts in communities across the Northwoods, now one has received a national award for their efforts. 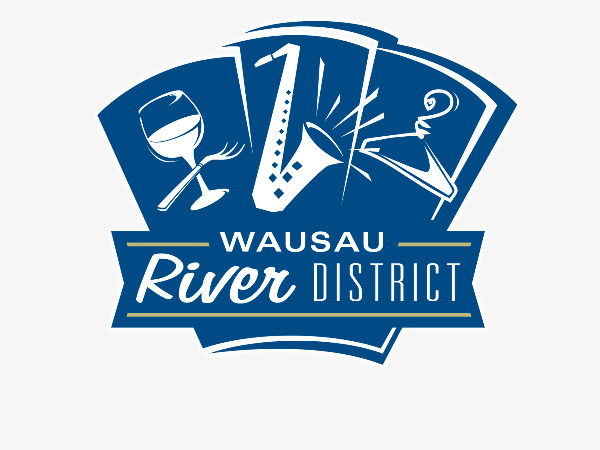 Wausau River District has been named a recipient of the 2019 `Great American Main Street` award. The selection committee included community development professionals and leaders of economic development and historic preservation. The River District was recognized for becoming an amenity-rich arts and cultural destination. 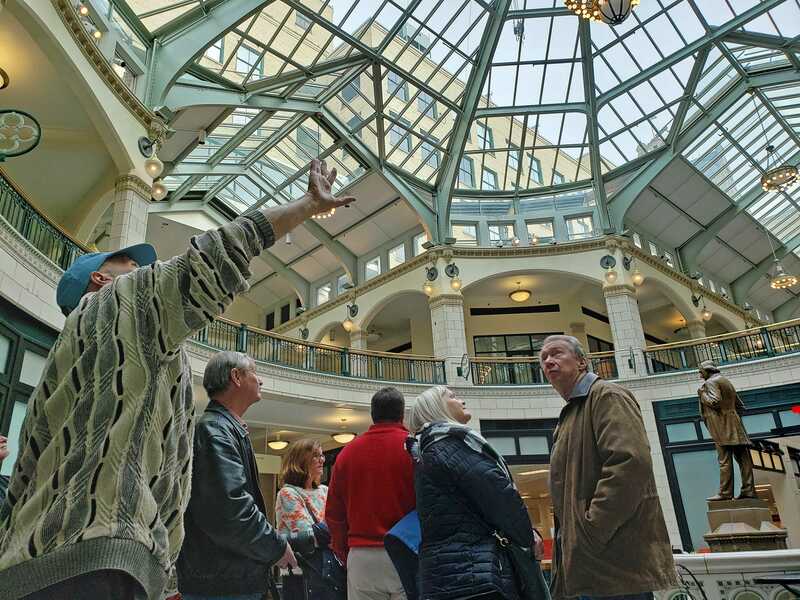 Founded in 2002, the Wausau River District hosts around 100 downtown events each year, ranging from concerts to art fairs. Those events draw over 72,000 visitors annually. 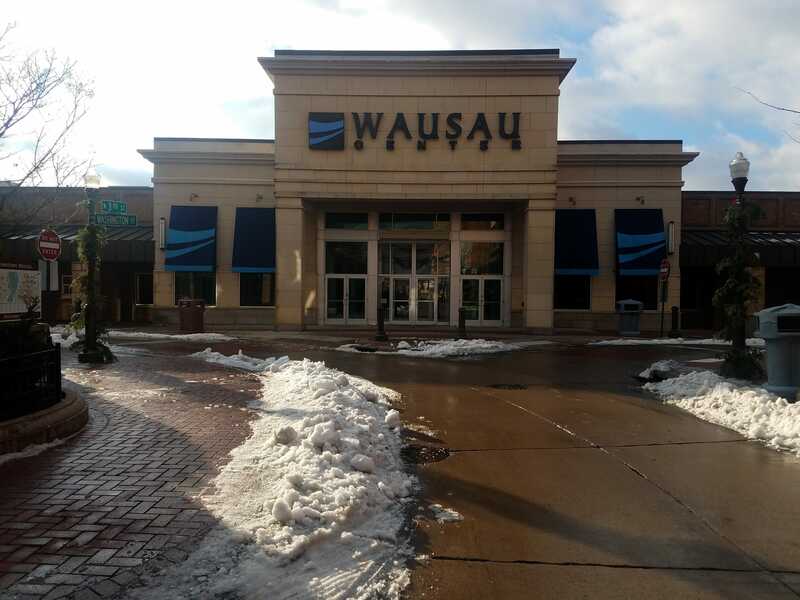 Errin Welty with the Wisconsin Economic Development Corporation noted, "While the River District has always been an employment hub and shopping destination, it is increasingly attracting visitors and residents that appreciate the district`s ample dining, nightlife, and recreation amenities." 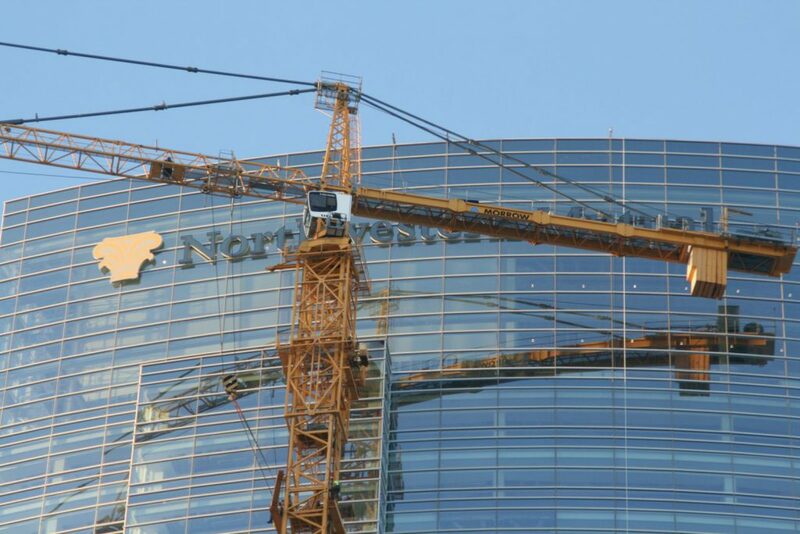 Advancing AI Wisconsin, a not-for-profit focused on elevating the implementation and knowledge of disruptive technologies in Wisconsin, and Green Bay-based New North Inc. have collaborated on a new online directory of technology providers and consulting firms across Wisconsin. Wisconsin currently ranks 12th in the U.S. for agricultural exports, with those specific exports generating $3.5 billion for the state in 2018. Those Wisconsin products traveled to 143 countries last year, including the state’s top markets of Canada, China and Mexico. Additionally, total Wisconsin exports, including manufactured goods, were valued at $22.7 billion in 2018, an increase of nearly 2 percent from the same period last year. Working for Wisconsin exports behind the scenes at the Department of Agriculture, Trade and Consumer Protection is a team at the International Agribusiness Center, who, since 1966, have been helping Wisconsin companies succeed in their exporting efforts. Whether an agribusiness in new to exporting or seasoned at international business, the team makes their expert knowledge, connections and resources available to help Wisconsin companies grow their business worldwide. Ken Notes: I remain WARF`s largest cheerleader, I wish we could work with the State to leverage more local jobs from our patents but the money is pretty nice as well!!! Sorry about placing you so far down in my report but I always save on of the best for last. 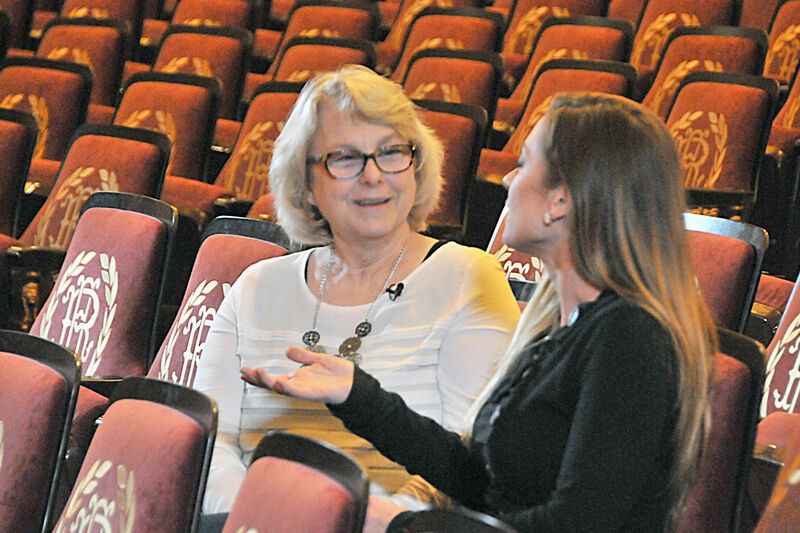 Before it stars on regional television, Baraboo will take to the big screen. An episode of “Discover Wisconsin” about Circus City will premiere Monday evening at the Al. Ringling Theatre. The episode features local history, attractions and parks, with hosts Collin Geraghty and Mariah Haberman interviewing Baraboo personalities. Ken Notes: Discover Wisconsin is one of our greatest assets. It is a perfect example of partnering public and private sector to promote the State. It`s late February and in a couple of hours, another blizzard will swallow up Green Bay. But that hasn`t deterred people from standing in line to buy a case or six of Hansen`s frozen pizzas. It didn`t use to take a Herculean effort to get a Hansen`s pizza. They could be found at the sub shops that dotted the Green Bay landscape. Those days are gone and Hansen`s pizzas are left at a single shop or available through fundraisers.